At least six senators have so far taken the voluntary drug test at the Senate. The six are Senate President Vicente “Tito” Sotto III, Majority Leader Juan Miguel Zubiri, Senators Gringo Honasan, Loren Legarda, Bam Aquino, and Antonio Trillanes IV. 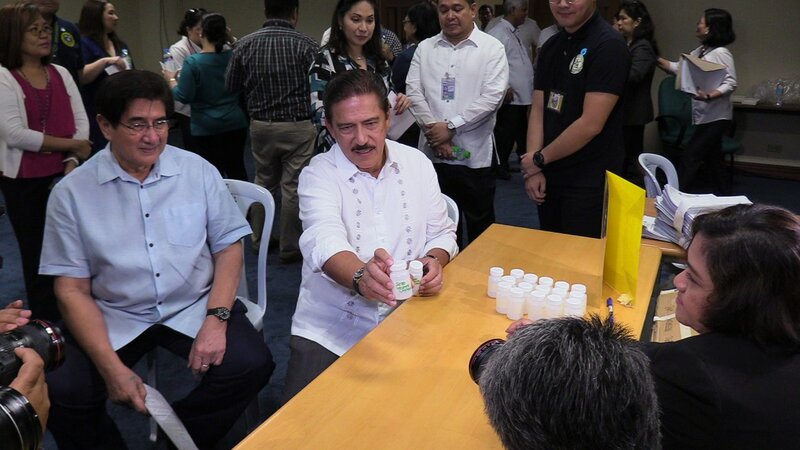 In a speech during the flag ceremony at the Senate on Monday morning, Sotto announced the conduct of a surprise random drug test for Senate employees. “…To show my support for the mandatory drug testing program of the Senate, I have decided to undergo drug-testing myself today,” Sotto said. “I will be the first in line, in the 2nd floor Padilla Room, which has been set-up for this purpose. I have asked my BFF, Senator Gringo Honasan, to join us. He will be second in line,” he added. After Sotto and Honasan, the four senators— Zubiri, Aquino, Legarda, and Trillanes — followed suit. Trillanes said it would be in the interest of the people to know if public servants are not drug addicts or not under the influence of illegal drugs. In fact, he said, employees at the Office of the President or President Rodrigo Duterte himself should undergo the test. “Dapat si Duterte mismo, para malaman ng taumbayan kung ‘yung mismong namumuno ng war on drugs ay hindi influenced ng illegal na droga,” Trillanes, a staunch critic of the President, told reporters. He said Duterte and his family should submit to voluntary drug testing. “Dapat beyond reproach ang First Family,” the senator added.